Does a conversation like this sound familiar? Sophie is staring at her phone at the dinner table, again, when I realize I haven’t really talked to her in months. I’ve hardly seen her! “Do you want to go to a movie tomorrow?” I ask. “Can’t; I have rehearsal after school and then a meeting about that volunteer project. Then I will probably hang out with friends,” she says, without even looking up from her phone. Is there space to live? The demands on teens’ time and energy is greater than ever. With so many activities, it can be challenging for them to just slow down. They strive to do everything; is it worth it? Of course, they don’t feel well! They are trying to do everything. 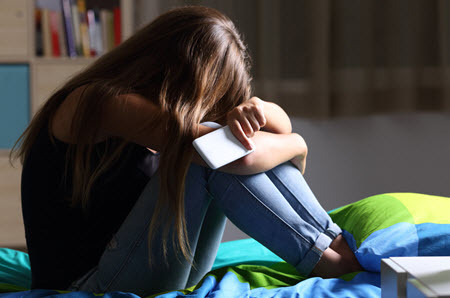 Teens who head down this path struggle with anxiety and, at times, depression. It can be full throttle one day and full stop the next. How can we as parents help teens find balance? Teens need a space to re-evaluate their goals, explore their feelings, and reconnect with what really matters to them. Get them the help they need. Therapy can allow them to reboot and re-energize. It can also be a place for all of you to reconnect. Call (323) 345-1402 or email us today to schedule an appointment.